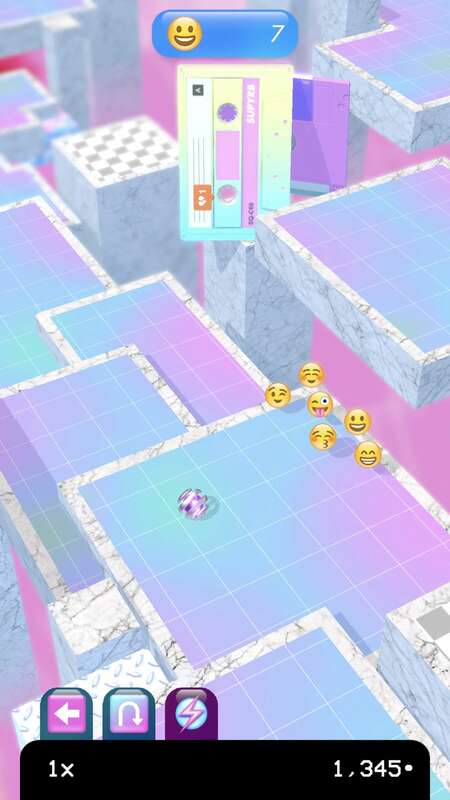 10 word description (from official site): Marbloid is a 3D marble runner for iPhone and iPad. 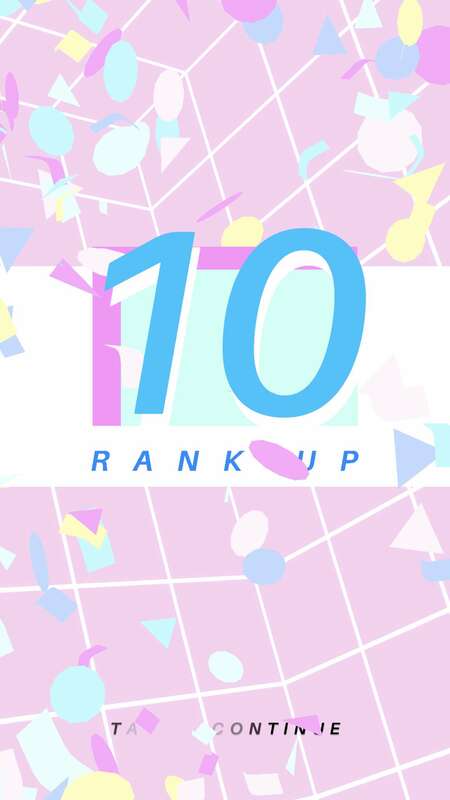 10 word review: Incredibly good-looking, incredibly annoying. Prepare for extreme frustration. You will like this if you enjoy: Failing due to deliberately perverse game design choices, losing everything you collected when you crash and fail due to those wacky design choices, being told “FAIL” by an annoying voice every time you fail and lose everything you collected due to those oh-so amusing game design choices. The good news: Graphics are very nice. Performance is good – I didn’t get any slowdown or lag on my iPhone 8+. 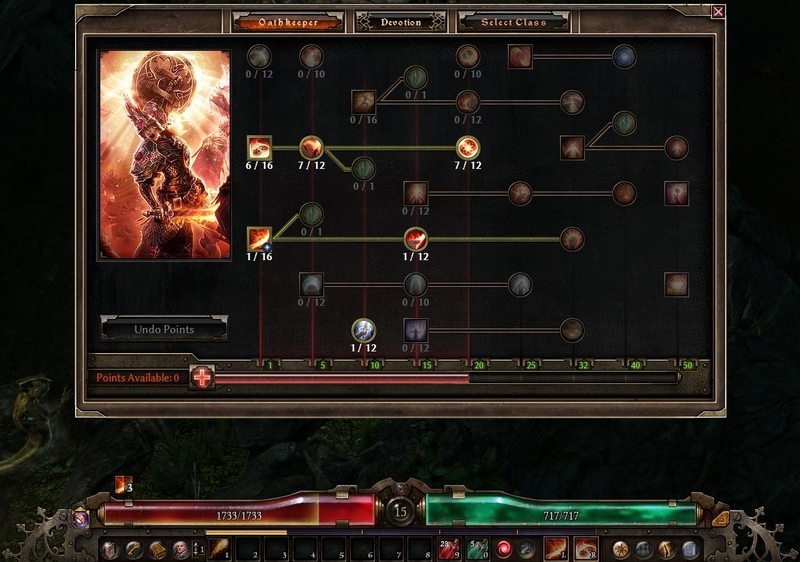 Concept is sound – guide a rolling ball through some areas collecting stuff and levelling up skills. No IAPs. The bad news: Oh boy, where to start… The first few minutes with Marbloid are pretty good. But then you realise you lose everything you collected when you FAIL, so it’s different in this respect from other endless runner type games, you know, where you collect coins or whatever and they add to your stockpile every time you play. 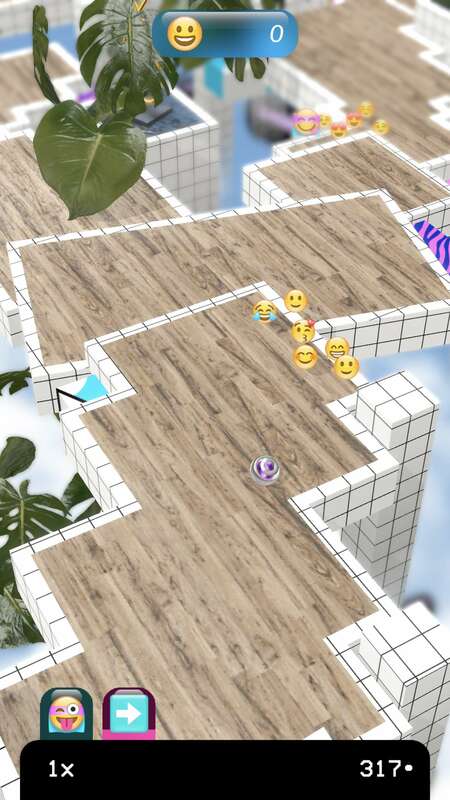 In Marbloid, the currency is emojis, which to be honest should have been a massive clue as to how annoying this game was going to be. 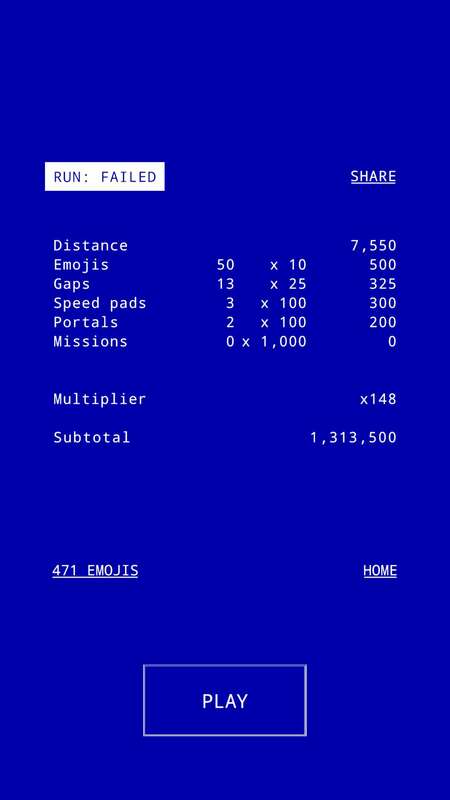 Unlike the way you would expect this emoji-collecting to work, if you FAIL before reaching an exit point you lose all the emojis you have collected in that run, and you also lose any quest-related progress. This means you have to play the game a couple of different ways: One, grind on short, wimpy-but-safe(ish) runs to the first or second exit while collecting as many emojis as you can. 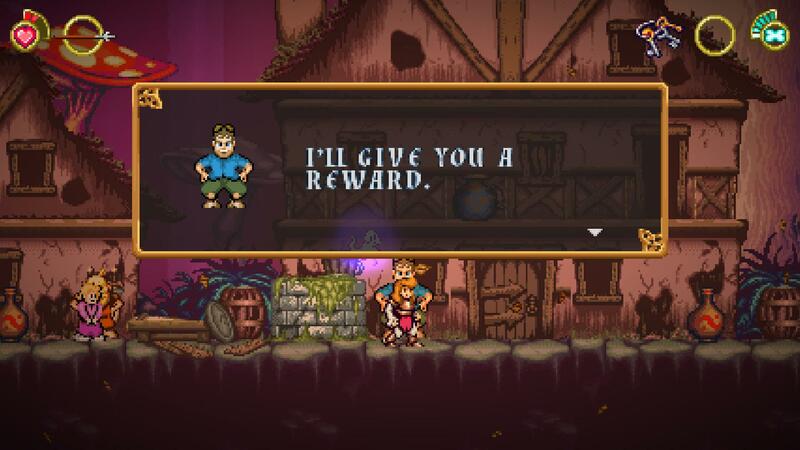 This method can also be used to complete quests where you have to collect a total number of whatever in as many runs as it takes. 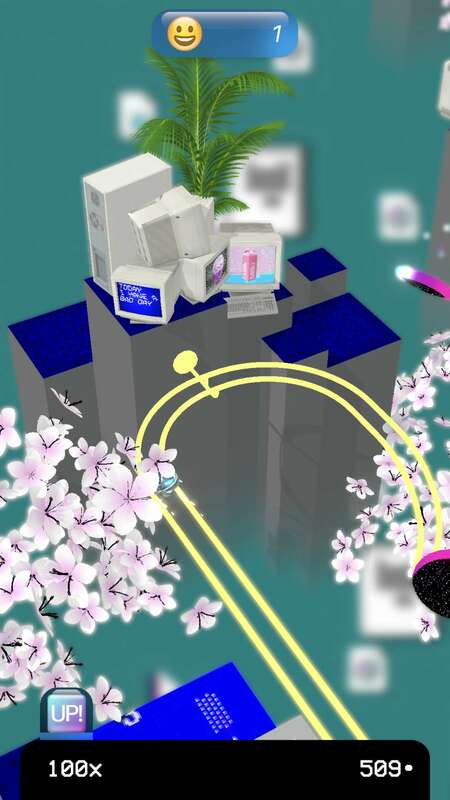 The other way you have to play is enforced by quests to complete whatever in a single run – these are horrible because FAILING in this game is hard to avoid due to appallingly sadistic level design, specific level features which catch you out by being hidden around corners or just unavoidable, and the stupid tilt-only control, and the fact that you have to jump using a screen-tap but the bottom of the screen (where there’s a quest status bar) doesn’t register the screen taps and aaaarggghhhh! Trust me, it’s bloody annoying. One thing which would remove the massive frustration of failing on a long, profitable run, would be if the stupid game let you keep what you had collected. 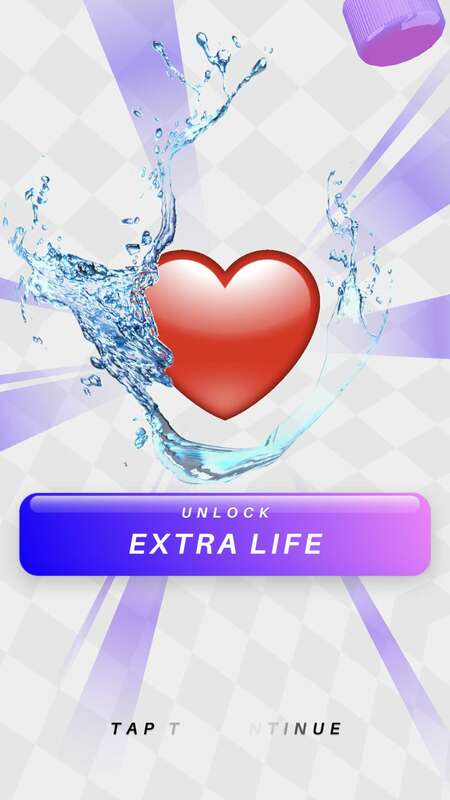 You can even complete a quest – you get the screen prompt and everything – but if you don’t exit cleanly through an EXIT, and you FAIL, you lose that quest completion. It’s just stupid. I had to turn the volume off completely because the voice shouting “FAIL” every time you fail (which feels like every ten seconds) is ANNOYING. AS. HELL. Arcadelife verdict: This is not so much a wasted opportunity as an excellent opportunity repeatedly slaughtered at the unholy altar of player-FAIL as part of some kind of evil, Groundhog Day experiment in phone-smashing frustration. This game’s annoyance could be mostly fixed by removing the unnecessarily cruel progress loss and the “FAIL” voiceover which purely serves to express just how much the designers don’t want you to enjoy playing their game. This review was written on a dasKeyboard Model S Professional. 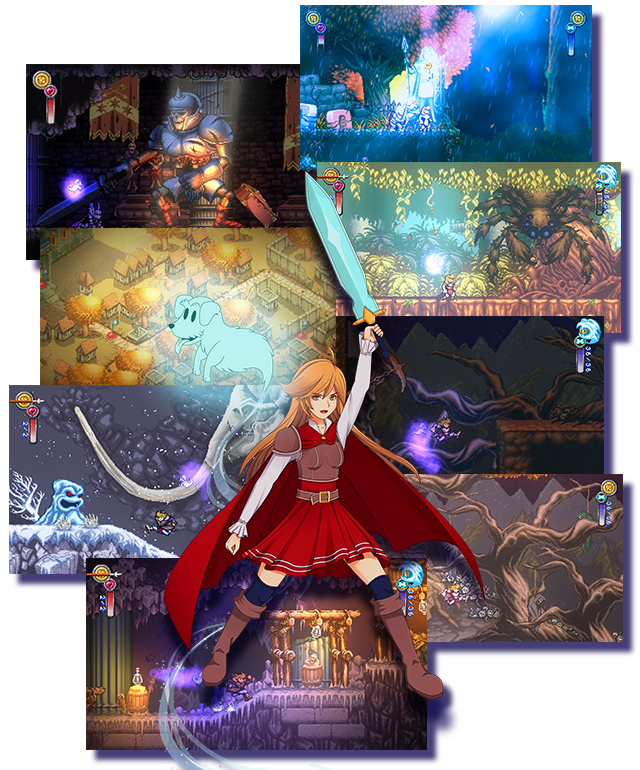 Battle Princess Madelyn is 2018’s indirect, unofficial descendant of Capcom’s thirty-year-old hard-as-nails scrolling platformer, Ghouls ‘n Ghosts and its even older ancestor, Ghosts ‘n Goblins. 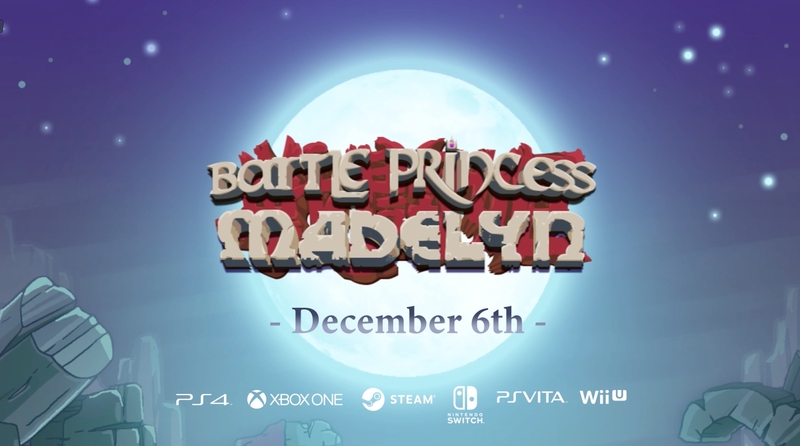 Unlike those games, or any of their five later incarnations, the protagonist of BPM is Madelyn The (kind of) Princess instead of Arthur the knight. There are two modes: story and arcade. 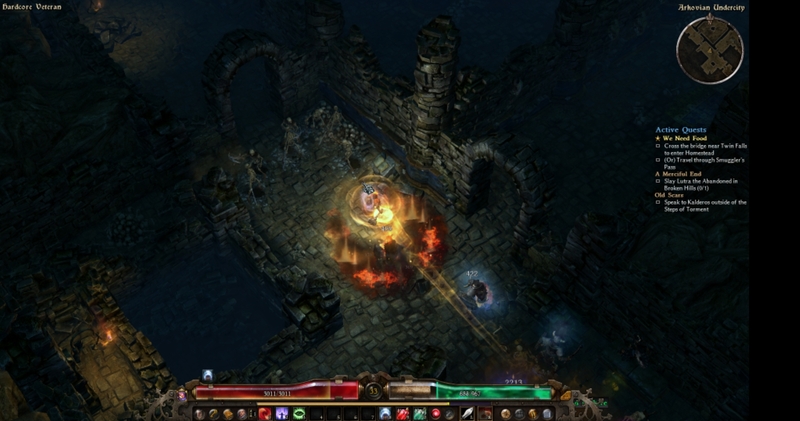 In story mode, a short cutscene sets up the premise that Madelyn needs/wants to go fight a bunch of bad guys and you’re almost immediately dropped into the action after some standard ‘talk to people in village to hear about the bad guys and the profit to be made and items to be gained from their wholesale slaughter’ conversations. 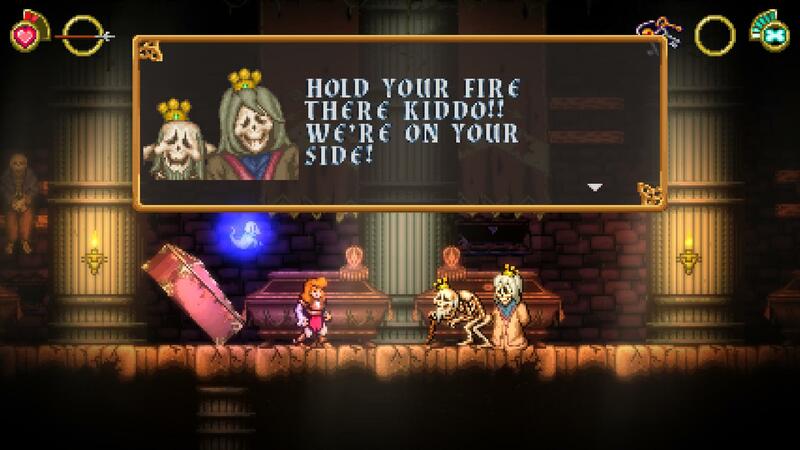 The arcade mode just has the “Oh no, they killed my dog!” scene, which replaces the “Oh no, they stole the Princess!” scene from most of the classic side-scrolling undead-fighting platformers mentioned above. BPM is full-on retro pixel art and proud of it. 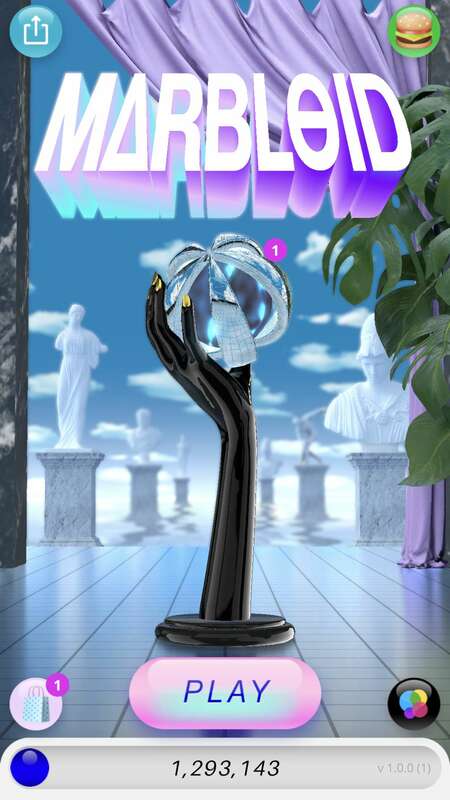 I could probably witter on for several paragraphs about the satisfyingly lo-res homage to 80’s arcade games, but you can see for yourself from the screen images in this review. 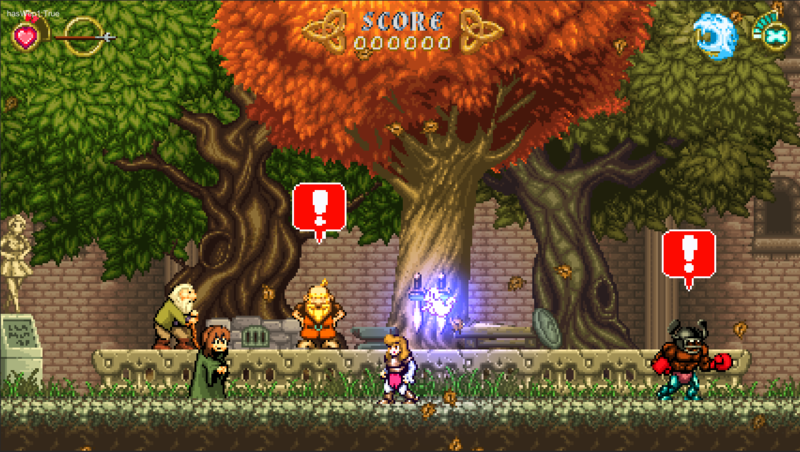 If you hadn’t seen this game but you heard it described as a modern take on Ghouls ‘n Ghosts with retro pixel art graphics, this is how you would probably imagine it looking. 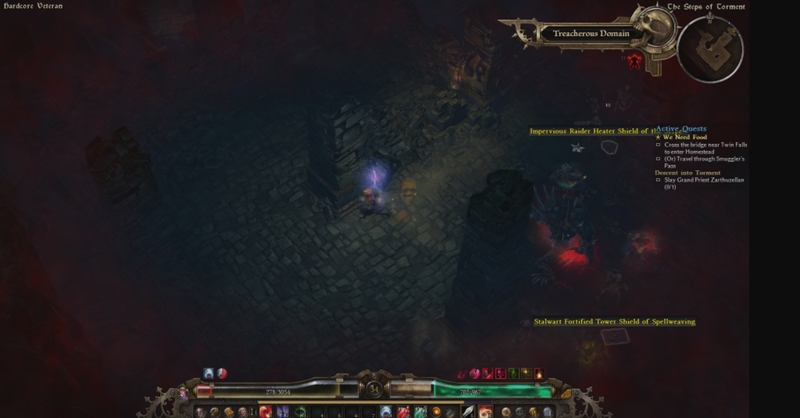 Bosses are big (see pic of first boss below), nicely drawn and animated, and take a lot of pummelling. Is it worth turning the sound up? Sort of. The music is great, and there’s an option to select an ‘orchestral’ or ‘arcade’ soundtrack. Sadly, the sound effects are very quiet (at least as far as I could tell on my system) and there’s no option to adjust the music/effects volumes independently. Keyboard works okay, you pretty much just have directional controls, jump and attack, however you can’t change the allocated keys. I played mostly using an XBox 360 gamepad plugged into the PC and it was fine, although the inventory button is only assigned to a PC key (Tab) which seems a bit weird because there are plenty of spare buttons on a gamepad for this. Response to input is consistent and immediate – I never felt like I was dying or falling to my doom due to controller issues. I’m old, I played Ghouls ‘n Ghosts when it was in the arcades, and I played Super Ghouls ‘n Ghosts on a SNES way back when that was new and exciting, and laggy as heck of course. 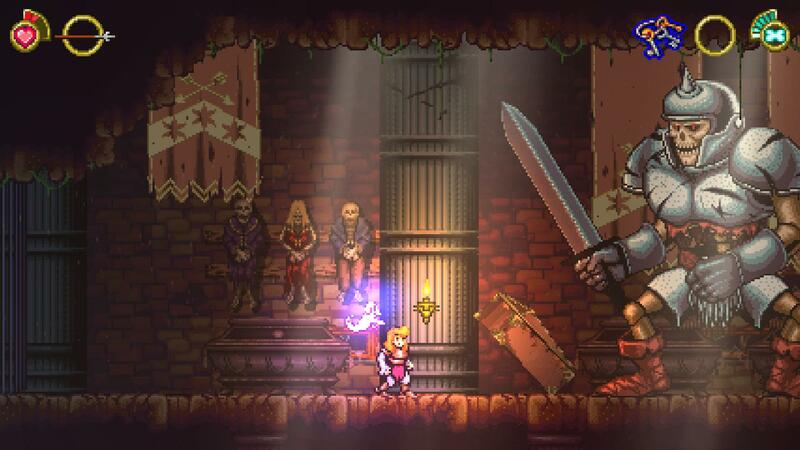 A modern spin on the side-scrolling action platformer, as well as being a game I would really want to try out, is always going to be facing some serious competition from my (arguably rose-tinted) memories of those original games. 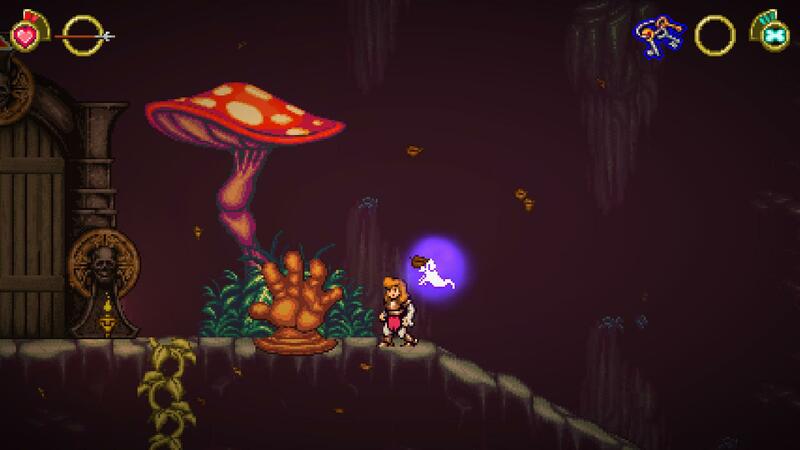 Battle Princess Madelyn gets it mostly right. While I play the game, I keep running through a list in my head of what I’d like different, or better. I prefer the arcade mode over the story mode, but that’s just something irredeemably screwed up in my gamer DNA due to living through the Golden Age – I love high scores. And, of course, there’s no high-score table in this game, so I have to mark it down for that. Other things that irritated me included the quick-travel which doesn’t seem to include the hub village as a travel option – I honestly can’t figure out how to get back there to cash in quests, find the dude who offers upgrades, etc. Other details, like the inability to change key mappings, or separately adjust music and volume controls make this feel just a tiny bit unpolished. The core gameplay is spot on, the game looks really nice and controls work well. I’ll keep going back to play it long after this review has been published, but it would be great to have some of these issues sorted out – they honestly would not be difficult to fix. Scores – because we love scores. 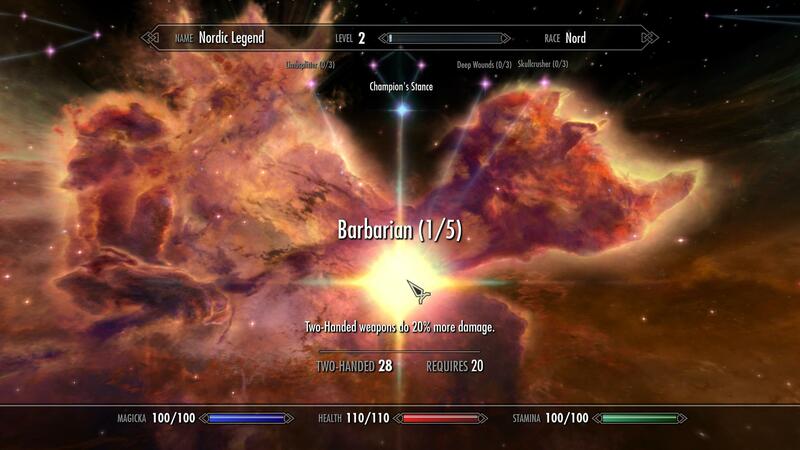 Welcome to the Skyrim – Nordic Legend ‘self-sufficiency’ challenge. This is something I’ve recently started, based on ideas obtained from various Skyrim challenges. It’s not particularly a roleplaying challenge, and it’s not intended to be crushingly punishing or extremely tedious, although it is to be played entirely on Legendary difficulty. I’ll post updates on an infrequent basis; if you take up the challenge, please add a comment or two to let me know how you’re getting on with it. Overall purpose of this challenge: To be entirely self-sufficient on Legendary difficulty, and to abide strictly by the rules of the challenge. 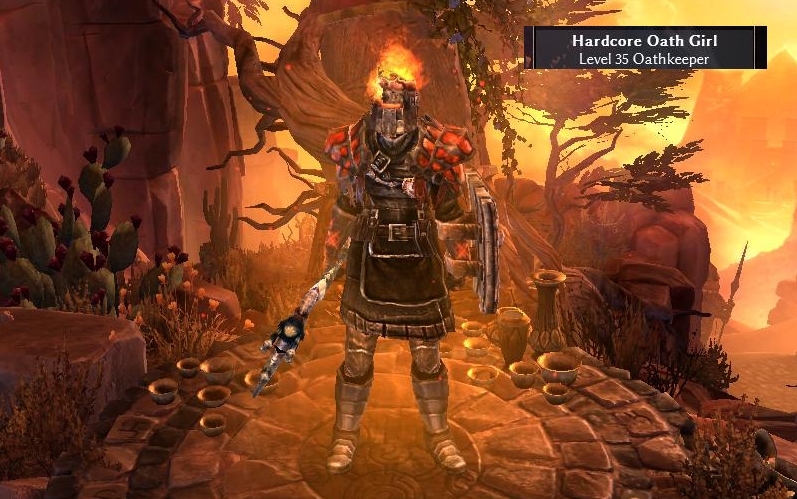 Almost all the challenge rules do not require ‘player honesty’ or remembering ‘roleplay’ specific elements, as they can be continually checked against the recorded stats for the character. An exception to this is the first set of restrictions (see below) regarding the player state on leaving Helgen. 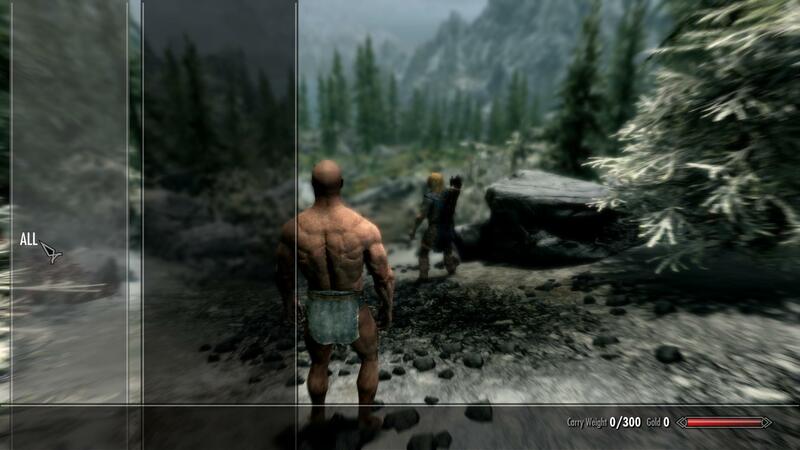 Character creation and state on leaving Helgen. 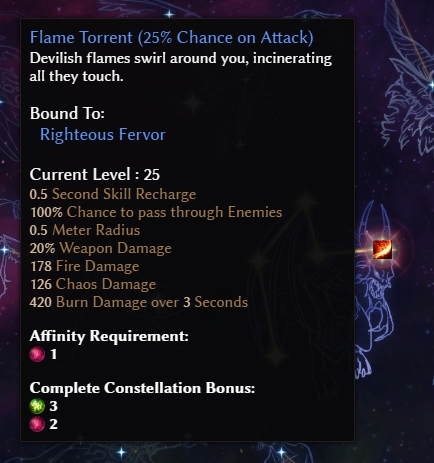 Difficulty: Legendary. 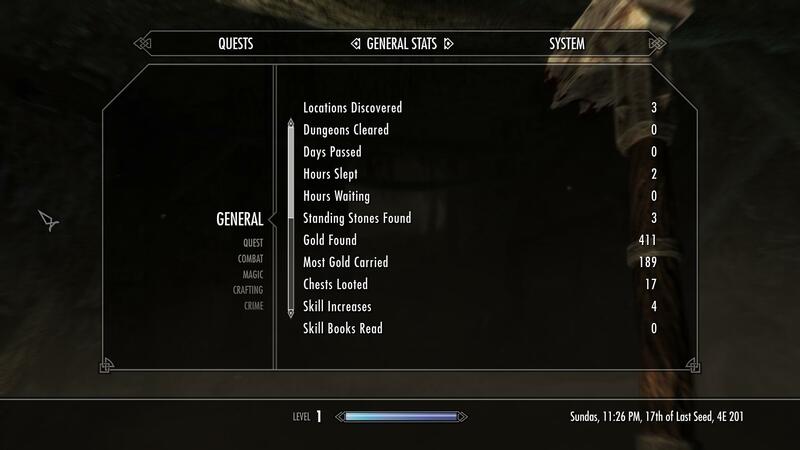 This cannot be changed at any time after leaving Helgen. 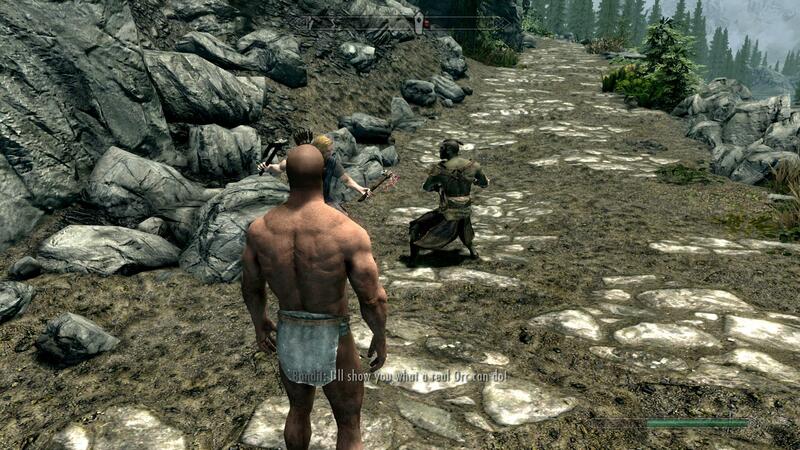 > Player must accompany Ralof and not Hadvar – the Stormcloak side must always be chosen. > Player must be level 1. > No skills are to be improved before leaving Helgen via the cave exit into the main game world. > Player’s inventory must be completely empty. Anything being carried must be dropped before leaving through the cave exit. > Gold carried must be 0. > Player must be wearing nothing. > Player must be wielding no weapon or shield. > Can only wear, wield and use items, potions and food crafted yourself. 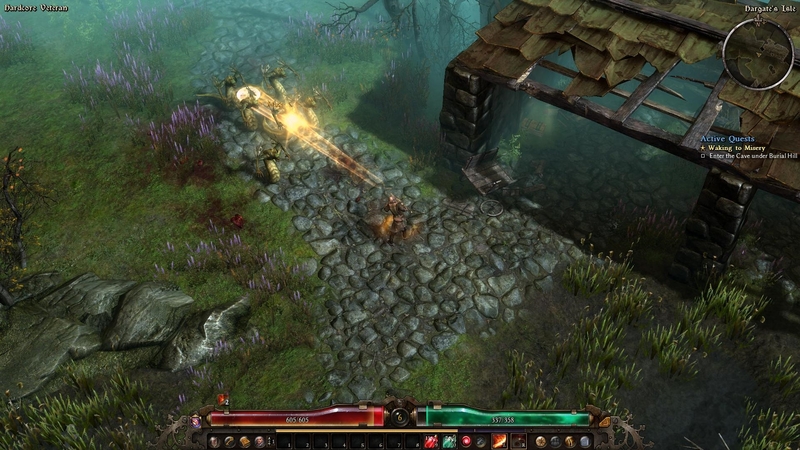 This means no bought, found or looted items can be used by the player. This includes weapons, armour, potions, food. However, all items (whether looted, found or crafted) can be sold in order to buy crafting materials. 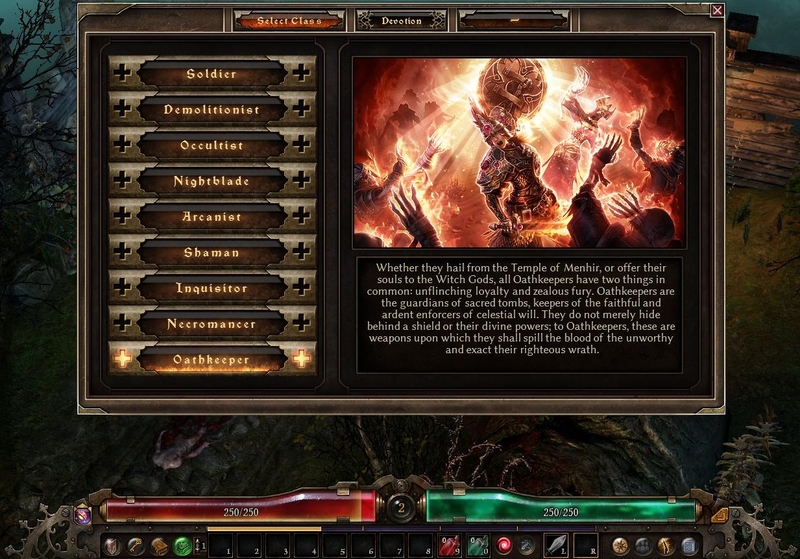 > No magic spells can be used or learned apart from the two starter spells – Healing and Flames. > Nothing can be stolen. This means that anything in the world marked ‘STEAL’ cannot be opened, unlocked, taken, or otherwise manipulated by the player or a follower. > Pick-pocketing is not allowed at all. > The murder of innocent NPCs is not allowed. i.e. Don’t attack any person who isn’t attacking you, unless that person is a quest target. (Yes, you can kill Grelod The Kind if you have the appropriate quest active). > Waiting is not allowed. > Cart travel is not allowed. > Vanilla game should be played – no mods, particularly any that add or improve weapons, armour, or any crafting skills. > Followers can be equipped with anything you find, loot or craft. > You are allowed to disenchant found and looted items, and to enchant items that you have crafted. > Anything crafted by the player can be used by the player. This includes unique items such as the Aetherial Crown. 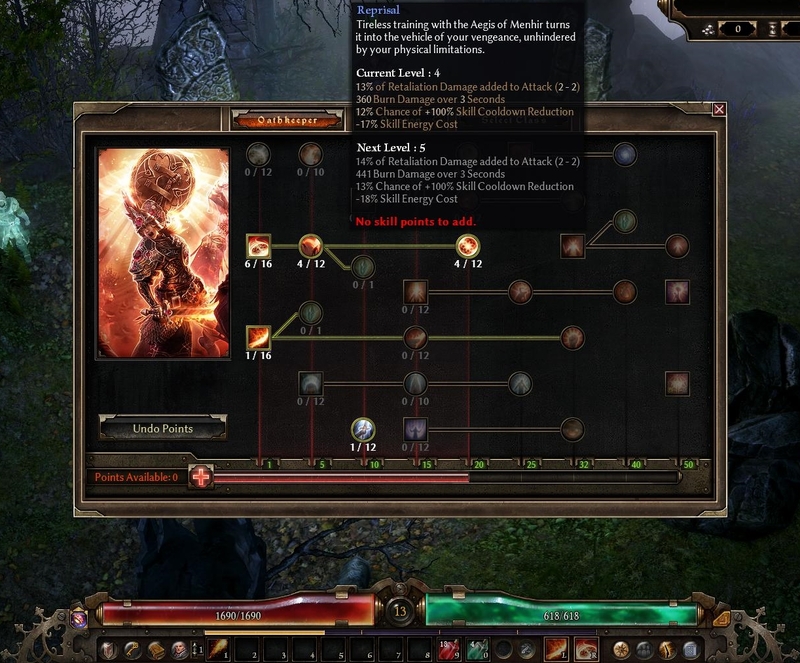 > Houses may be bought and used by the player. > Sleeping (e.g. in a player house, at an inn, or on bedroll out in the world) is allowed. > Fast travel to locations previously discovered by the player is allowed. 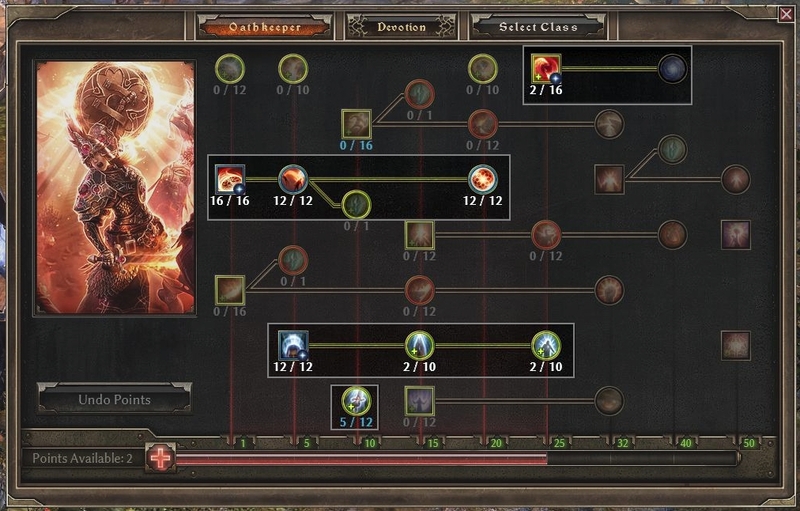 > Perks can be put into any skill tree. > Cooking, Smithing, Alchemy and Enchanting are all allowed. > Filled soul gems that are found or bought can be used by the player. > All crafting materials may be bought, including ingots. > Progress as far as possible in the main quest line. > Progress as far as possible in the civil war quest line, taking the Stormcloak side. > Acquire 100,000 gold at one time (i.e. have that much in your inventory at least once). That’s it. Actually pretty straightforward despite the lengthy description of the challenge. So far, I’ve made a fairly decent start in the first half hour, getting to Riverwood and crafting a full set of leather armour and an iron warhammer. I obviously took Sven’s side, and not Faendal’s, because Nords have to stick together. Sven’s turning out to be not too bad at all with a one-handed sword, but I don’t intend keeping him around for very long. Initially, up to level 20, I’ll be stacking level-up health and stamina in an 80:20 ratio, so by level 20 I should have 220 Health and 170 Stamina. After that, it will probably be 50:50 Health and Stamina.